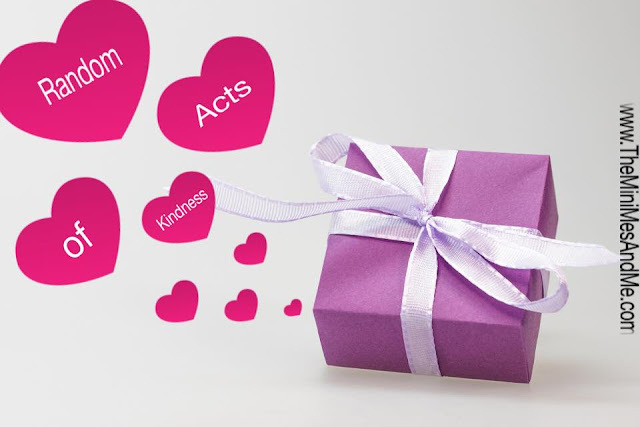 For the past few years I've chosen 5 friends or family members on 1st January to send a gift to as a random act of kindness. This year I'm reaching out to my followers! If you would like the chance to receive a surprise gift at some point during 2016, or if would like to nominate somebody else to be sent one, please leave a comment below with your resolutions, hopes, plans or motivational quotes and I may be in touch with you shortly. Alternatively, on my Facebook page. I wish you love, luck and happiness and thank you for your ongoing support with my blog. I look forward to sharing our family adventures again with you this year. I love this idea, but rather than choosing people at the start of the year, I wait until anyone close to me is in need. As a depression and anxiety sufferer myself I know how important little things like this can be when you've got to the point of feeling than no-one cares. What a brilliant idea to think of your followers too! I really enjoy your Blog. Thanks for the nice idea of a surprise package - would love to receive one, Happy New Year to you and your family.